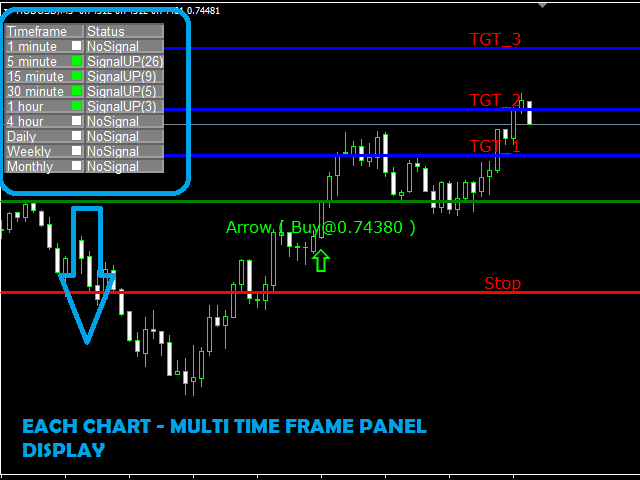 It is a multi-utility dashboard which works with full customization of signal settings and graphical interface. 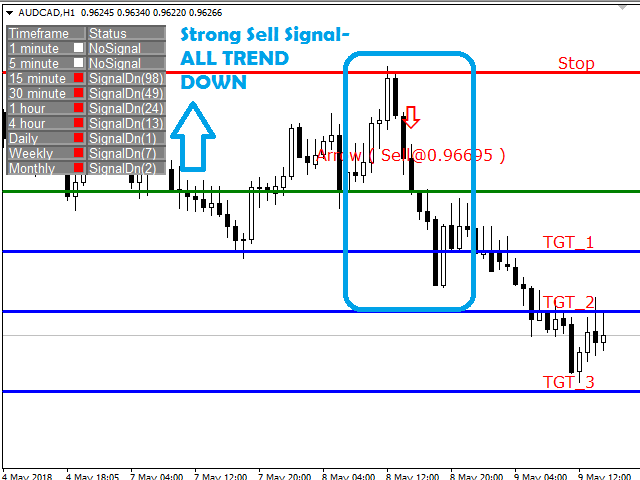 It will automatically open the charts where the latest signals had formed. Many types of sorting methods for the scanner. A robust algorithm for the signals. 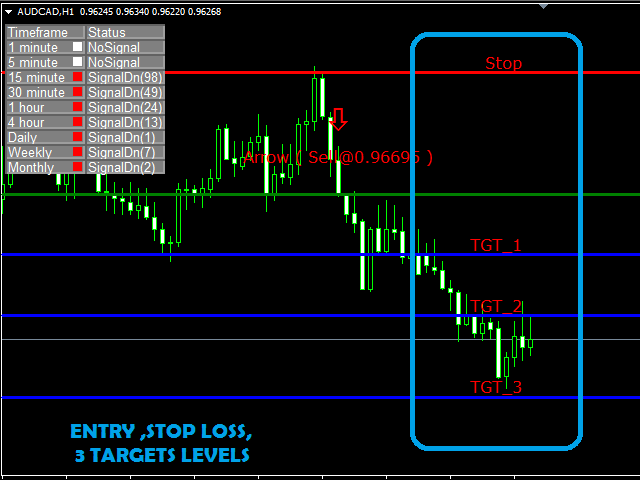 Take the trades as per the trend, all levels provided - entry, 3 targets, stop loss (all customizable). High risk to reward ratio settings. The EA for trading with this dashboard is also available. 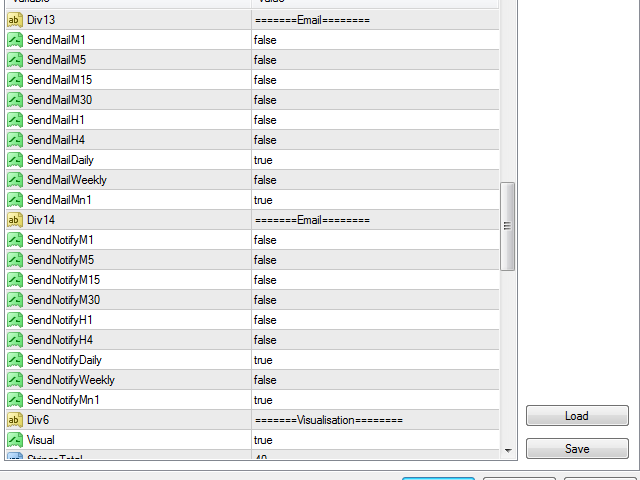 Note: The dashboard column "CurOrders" will show "NoOrders" as it will work using the EA. Suffix - apply on suffix appended symbols. 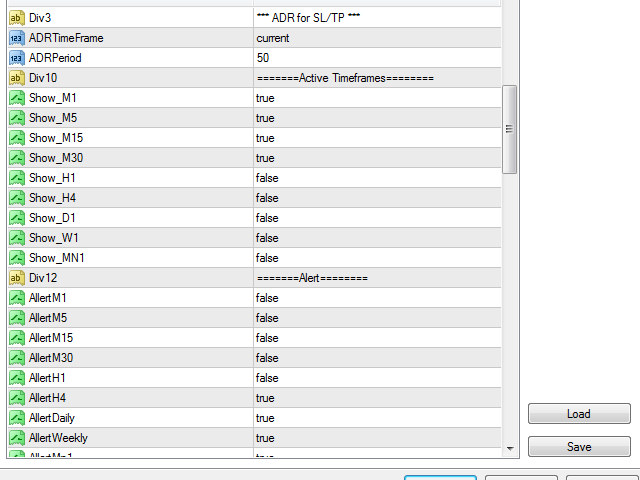 SortMethod - Sorting methods of the scanner output display. SM_Symbol - sort by symbol names. 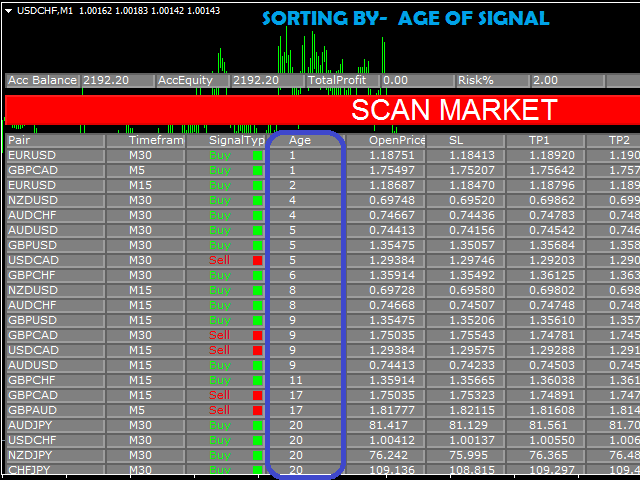 SM_Age - Sorting most recent signal on top. 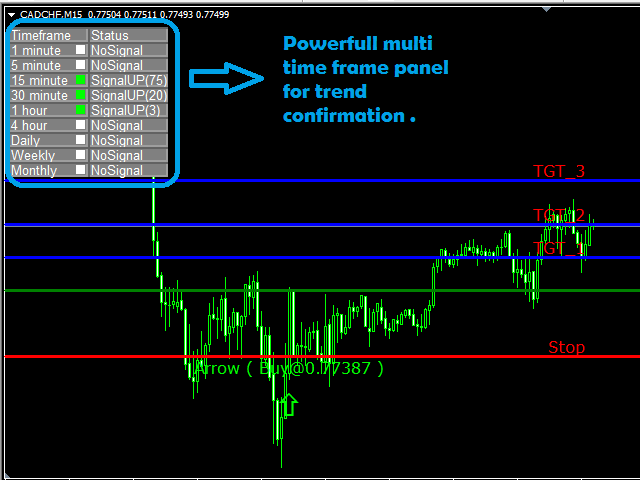 SM_Timeframe - sort as per the smallest time frame on top. ST_Ascending - sorting in alphabetical order/smallest TF to largest. ST_Descending - opposite to above. AutoOpenChart = false - applies to the EA of this strategy. 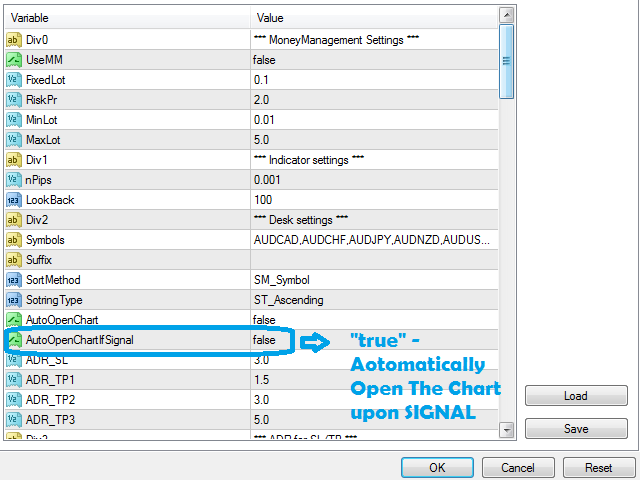 AutoOpenChartIfSignal = false - AUTO opens chart with arrow signal. Visual = true - Enable dashboard display. StringsTotal = 40 - rows of the dashboard. ShowLittlePanel = true - chart display of TREND panel. ColorBuy = Lime - text color. 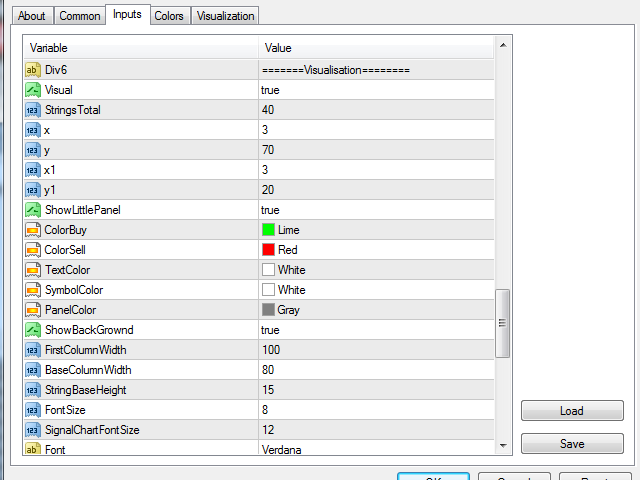 SymbolColor = White - color of symbol names text. PanelColor = Gray - dashboard main color. FirstColumnWidth = 100 - width of column. BaseColumnWidth = 80 - width of other columns. FontSize = 8 - font size of dashboard text. 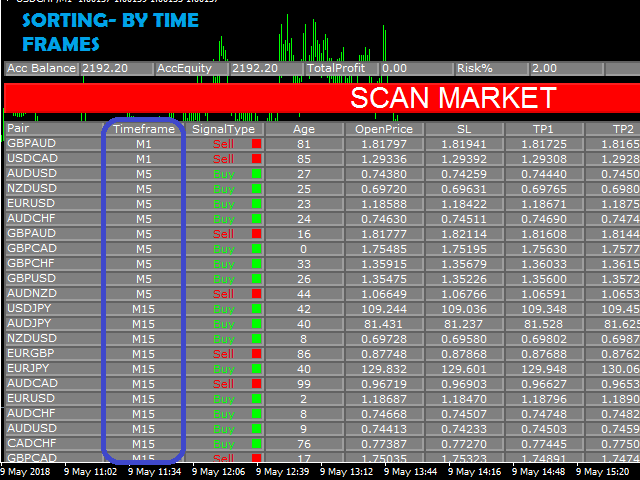 SignalChartFontSize = 12 - font of Signal Text(buy/sell). Centered= true - rows and column alignments. 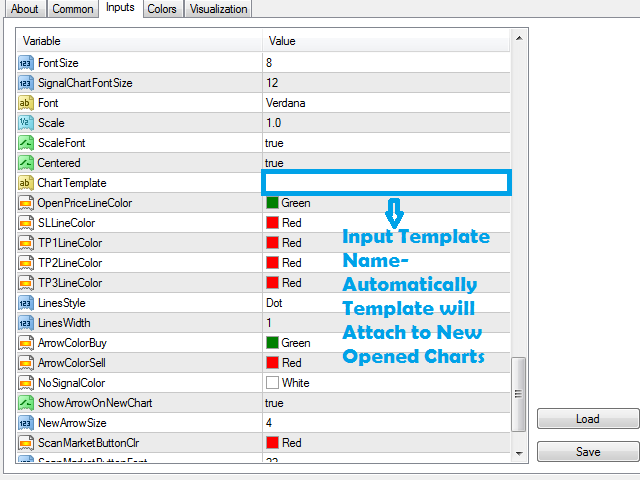 ChartTemplate - this template will load automatically. LinesWidth = 1 - set line thicknes. 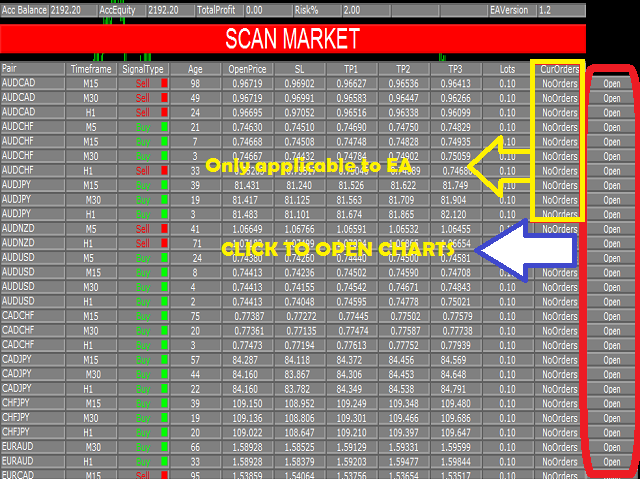 ScanMarketButtonClr = Red - scan button color. ScanMarketButtonFont = 22 - font size. ScanMarketButtonFontClr = White - color. MagicNumber = 123456 - for the EA of this strategy.